Oh, Sweden, always lambasting us with your death metal bands. Over the years, you have given us merciless killers including Entombed, At the Gates, Carnage, Opeth, Amon Amarth, Tiamat, and so many more, that the world never could thank you enough. We’re even willing to forgive you for the Haunted and the delirious downward spiral they’re on. Can’t get them all right! 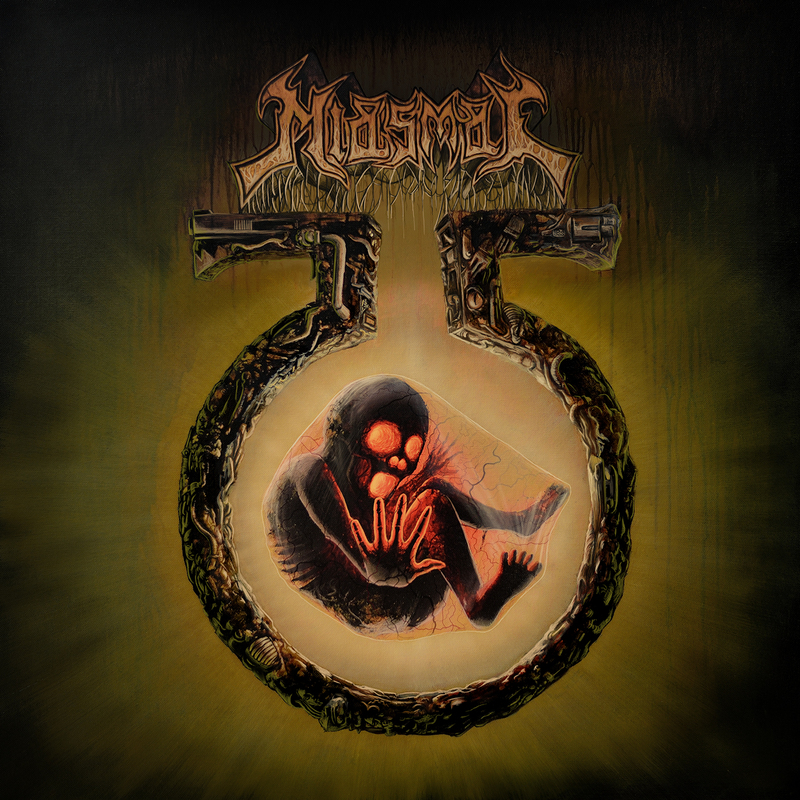 The latest monster to rise from that Scandinavian region is Miasmal, a band that specializes in ugly, fast, heavy death metal with one foot in the country’s origins but that also has collected some rock and roll tendencies over tie. They crushed us with their aggressive, ugly self-titled debut record (released by the always reliable Dark Descent), and now they’re bound to get even more exposure as they’ve signed on with heavyweight Century Media for their second offering “Cursed Redeemer.” The record is more of the good stuff, with added dashes of rock filth (putting them on a similar path as aforementioned Entombed), and there’s no reason why these guys can’t turn on fans of the label’s more mainstream-friendly acts and show them what real metallic violence is all about. The dudes from Miasmal mostly stick to one-moniker names and some have experience in other bands you likely know well and have read about here. On guitars and vocals is Pontus, who also plays in Agrimonia and Martyrdod; also on guitars is Magnus; on bass is Rick Ruben, who also plays in Radiation and has not produced bands such as Metallica and Slayer (that’s a different guy); and on drums is Bjorn, who also plays in Agrimonia and Radiation. The guys bring a lot of fury and dirty intentions to their sound, and for the most part, they’re apt to blow you away with their approach and leave bruises all over your eardrums. You’ve been warned. The record begins with the steamrolling title cut, as the band clobbers you with thick, mean riffs, grimy, vicious vocals, and some strong melodies to undercut all the insanity. It’s an exciting, punishing song, and it sets you up for what follows, namely “Call of the Revenant.” That cut has a nice thrash base, more chugging guitar work, and direct, in-your-face vocals that sound accusatory. “Whisky Train” is up next, and it brings some doom into the picture, as well as some bluesy guitar work, which seems to fit the theme of the song, as well as some fun-filled punishment that could lift your spirits. Truth be told it’s the one song on here that really doesn’t do a lot for me, but I could see it getting over with other people. It’s just OK. “Excelsior” rights the ship with gruff growls from Pontus warning, “There’s no way back!” along with blistering playing, and a bluesy swagger injected into the piece to give you a dose of bad attitude. “A Veiled Remembrance” settles into a thick death groove that’s nice and chewy, with vocals that sound sinister and fury-fueled. It’s the track that reminds the most of Entombed of all of the cuts here. “Until the Last” gets off to a really fast, ferocious start, but it also feels approachable, like a gateway for all those listeners used to something a little more polished who might be intrigued by the danger going on here. It’s a smart idea (if that’s indeed the strategy), it won’t alienate long-time fans one bit, and the song hits on a cylinders. “Frozen in Time” starts chilly and eerie, aiming to freeze the blood in your veins, but then it begins clubbing righteously, with the vocals dripping with menace, and the guys go back to the rock and roll muse that seems to inform a lot of this record. “2013” is your closer, and it takes this record out on a raucous note. The guitar work is just on fire, with rock-solid soloing and piercing guitar lines, the vocals are absolutely volcanic, as the words are spat out, and the song’s final moments allow for one last assault that should draw blood and make your ears ring mercilessly. 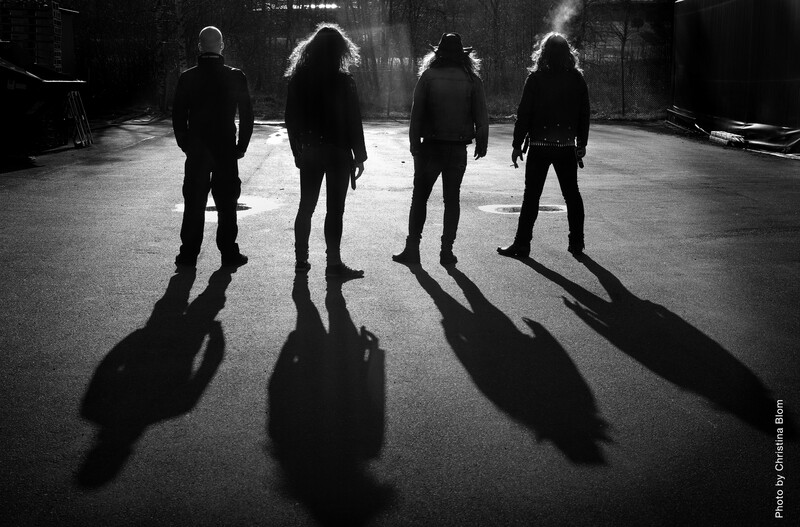 Miasmal are a strong addition to Century Media’s roster of fresh underground-style death metal band (groups such as Morbus Chron and Vallenfyre) and will roll over you with power and attitude. This second record is a nice step ahead both musically and profile-wise for the band, and it’ll be interesting to see how American audiences react to these guys. This is one devastating effort from a band that has a huge opportunity in front of them and a blazing new record to convert new followers to their punishing campaign.